Can they be battery powered ? The highest watt battery powered handheld "immersion blender" I can find is 200watts which wouldn't be very affective. I guess technically it could be done but it would be huge. What does one use a hand blender for? Immersion blenders save space in the kitchen and are generally more portable in the kitchen. Regular blenders are superior in every way. Here's the blender I want. I find that immersion blenders are much easier to clean, and take less work to use than a full-size blender. In Germany, handheld blenders are very common. I do not know how this is in other countries. I use my handheld blender e.g. for soups or sauces - therefore I mentioned the cable running from the mains to the pot on the oven - and I think it would be nice to get rid of the cable. So a static blender would be very uncomfortable for such things: you have to poor the soup from the pot into the blender ... and so on. Of course the handheld blender can be used also for other stuff like smoothies or other cold shakes. The advantage: the cup you "blend" in the stuff is also your drinking cup, and the blender is very easy to clean. And, @Jesse_Hernandez1, there are already a few handheld, battery operated blenders in Germany. They are not huge. Combining products (PowerCore, hubs, portables, wireless with appropriate PD/IQ/QC ports) into an all-inclusive docking station, ultimate hub would be ultra cool. Like this docking station here with wireless charging and copious ports but also integral power storage too as a portable charger (like the idea that it can be slipped in a pocket/pouch against a device to initiate wireless charge on the go (granted a quick/short cable connection isn't too hard/inconvenient, so the portability would just be extra nice). Like the Fusions, it could have an integral outlet or alternative C input. To each his own. Immersion blenders definitely have a place but I think they are more meant for lower volume and thinner liquids. I only said they would be huge because I assume you would not be able to mix much fluid if they were regular sized (no room for a large battery) and they would be severely underpowered for high demand tasks i.e. crushing ice/mixing ice cream ect. which would probably be fine for the average the consumer. It is important to pick the right tool for the job. Think of it as a handheld rock hammer versus a jackhammer. Sure you could get the job done with a tiny handheld rock hammer but it'll be much more efficient and less time-consuming to use a jackhammer. Really would like to see a company like Anker make a quality waterproof Apple MFI USB charger for motorbikes. The market is flooded with cheap Chinese products that only work for a few days and drain the battery when the engine isn't running. I'm fairly certain that the main reason the cheap products don't last is the extremely harsh environment from high frequency vibration and EMF from the engine coils. Maybe Anker could make something suitable and clean up the market. It hit me this morning while shaving... 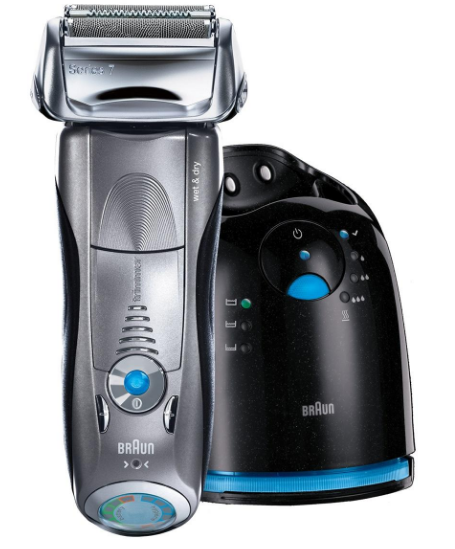 If Anker made a quality electric shaver kinda like my Braun Series 7 then please take my credit card as payment NOW! I travel with a Braun Series 5 so something quality like this I would be all over it. I would love to see them do a mirror dashcam with backup cam and wifi or bluetooth built in to transfer to the phone or a computer. Also would like for them to update the car wireless charger to include a fan. I also want them to start making it possible for their battery packs to charge and charge a device at the same time. I would like a "power strip" like the round one or the little cube one that has 45 watt Power Delivery and a rotatable plug. I would like it to be compact and lightweight for travel. The cord would not need to be as heavy as the ones the current products have. Maybe dual-function as a backup camera? ̶A̶n̶k̶e̶r̶ Roav should make a backup camera stream to a phone app, for when you mount phone to dashboard... Hmmmm. I would like photography equipment from anker. Both professional to use with a DSLR and amateur that you could use with a phone. This would be great! I really hope anker does this!